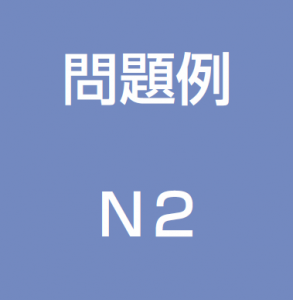 The N2 is a test that is supposedly the same level as the old 二級 or at least that is what the test specifications will tell you. However, it is at least a little harder than the 二級 test, especially for the grammar and vocabulary sections. The reading and listening also practice different skills that the old test didn’t go over. Also this test is given in 2 sections not 3 like the old test (or N5-N3). This makes it more of an endurance test to finish. The N2 test is pretty tough. I know more than a few people that have taken it a couple of times and failed. I highly recommend picking up the So-Matome Grammar and Reading Book at the very least. You may also want to pick up the New Kanzen Master N2 book for listening, grammar, and reading as well. This may seem like a lot, but you can probably pick all of these books up for around $100 and be well on your way to passing the test. That really isn’t that bad. Heck, I spent $500 a quarter on Japanese college classes that didn’t really do that much for me. If you have the money to spare, you might want to think about picking up the entire So-Matome and New Kanzen Master series. These will give you a fuller picture of what is on the test. It may seem a little overboard, but there is a lot of material, and the more exposure you have to different explanations of the different grammar points and vocabulary, the better off you’ll be. No matter what you do though, it is a pretty good idea to take some kind of practice test. This particular article is about the N2, but I have separate blog posts for the JLPT N5 Practice Test, JLPT N4 Practice Test, and JLPT N3 Practice Test. You have basically 3 options for taking a practice test for the N2. You can 1) Take a mock test; 2) Take old past tests; or 3) Take a sample test from the JEES. All of these have their advantages and disadvantages of course, so let’s go over them one by one. The mock tests available for the N2 are quite useful. They typically contain all the same number of questions and are laid out the same as the actual test, so they are pretty much as close to the real thing as you can get. They also usually have tips and suggestions on how to improve certain trouble areas that you might need working on. Ask Publishing’s practice test is pretty good, this is the one I used. It is about the same level as the test. It includes short explanations of the answers as well as timing information (how much time to spend on each section). There are also explanations for each question in English, Chinese, Japanese and Korean. My only problem with it is that there don’t seem to be enough questions for the medium reading passage. They are missing two questions for these passages. I’m not entirely sure why, but just something to keep in mind. There is another N2 mock test. However, it only includes one mock test and doesn’t have much in the way of strategies. The second option is to take an old 二級 test. 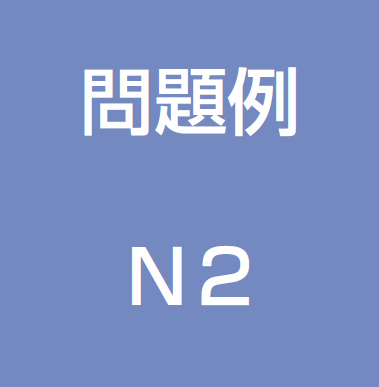 There are some definite differences between the old 二級 and N2. I went over them in two separate blog posts, part 1 and part 2, that you might want to read up about. Essentially though, the old 二級 is a little easier than the N2, but still good practice. You can get a hold of the 2009 test that comes with the old level 1. This is the official answer sheet for the practice test so you can practice filling in the answers at lightning fast speeds. Here are some Anki flashcards that I made for the first 16 questions. After the first 16, there are text grammar and reading questions which can’t really be easily put into Anki. You can either add this to your personal deck or study them on their own. You can also download them off AnkiWeb by searching for “N2 Practice Test Questions”. Take the JLPT N2 Sample Test. How was it? What was the most difficult part? The Practice test is free. Although the mock tests are around $20. I just did the 読解 practice test above, in 54 minutes. I got 4 wrong out of 31. I am wondering what the pass mark is. I know it’s around here somewhere, so I’ll have a look around but a quick question, does it matter which part I got those 4 wrong? Eg, If they were all in the kanji section, would I fail? The quick answer to that is there isn’t a ‘pass mark’ anymore. The test is graded on a curve so it is a bit hard to put your finger on what is passing and what isn’t. Of course, if you only got 4 wrong you most definitely passed. You might have failed if they are all in one section of the test [Language knowledge (grammar and vocabulary), reading, listening], but I don’t even think that is a problem to be honest. That’s a great score. Sounds like you’ll do fine. There seems to be an issue with the link for “JLPT N2 Sample Test with Notes”. The pdf fails to load. Thanks for all the great help! Taking N2 in 4 days! Thanks! I re-uploaded it and it should work just fine now. I tested it and it works for me at least. You might have to manually hit refresh (the little circle arrow icon in the address bar) to get it to reload and give you a fresh copy. how can i download the n2 sample test? i already click it but its not working..
All links above should be working just fine. Can you be more specific? I want to practice some N2 questions but i didn`t get any where. Can you please help me.. I usually read N2 books but there isn`t a exams practice schedule.. The kanzen master series is very popular and gives you some great training for the test. Ive purchased a copy of all books from the shin kanzen master series, Im finding it hard to study as i dont know where to start/what order to study in, I am taking the N2 level test this　December so i really need to start soon, have you made/know of any study plans made specifically for the shin kanzen master series thanks. I would say do the Vocab/kanji first, then grammar, and finish off with reading and listening. Be sure to have some kind of regular review of the vocabulary and kanji setup. You can get an app to help with that. Not a problem. Hope it helps you out.